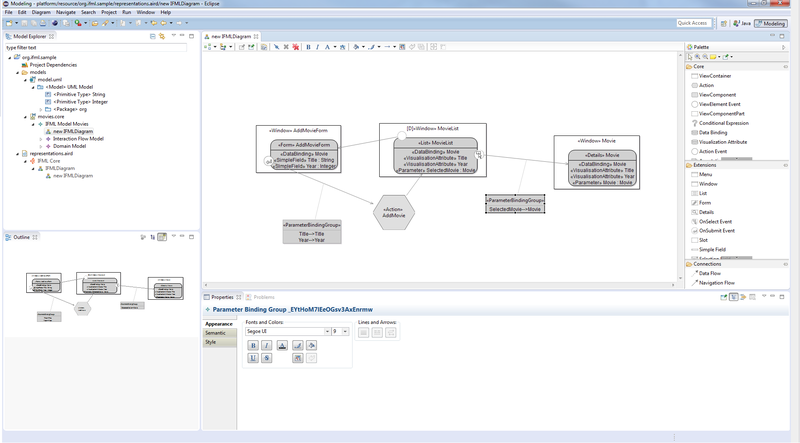 The open source IFML editor is a modeling editor to try all the benefits of the modeling language "Interaction Flow Modeling Language" (IFML), OMG standard. It is domain-independent and integrated in Eclipse as plugin. The standard IFML is designed for expressing the content, user interaction and control behaviour of the front-end of software applications.